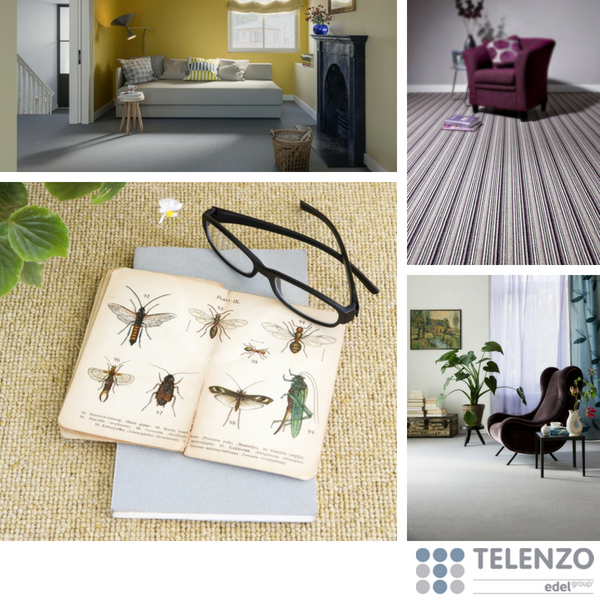 Edel Telenzo have been selling premium carpets in the UK since the 1970's and are best known for their 100% wool, wool mix tufted and high quality man-made fibre carpets. 100's of luxury designs from stripes to plains and wool to polypropylene, everything is covered. Most ranges are Scotchguarded during manufacturing to provide fantastic stain repellent properties. Many of the wool products carry the prestigious Woolmark Guarantee of quality. Polypropylene Carpets are manufactured in-house producing solution dyed fibres that guarantee bold colours and easy stain removal. To see the Edel Telenzo ranges up close, please visit either of our showrooms and feel free to use our take-home sample service.